These are the screenshots of the program interface main steps. 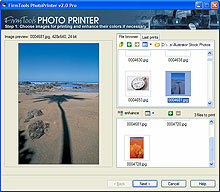 Click on the preview to view a full sized screenshot in a separate window. 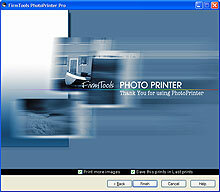 Select photos for printing or open the previously printed project. 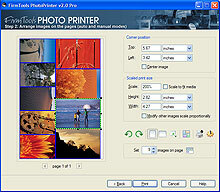 Arrange your photos automatically to use the optimal layout. You can save the layout for later reprinting or modification.